A pair of hiking poles is an essential thing for hiking or backpacking trip. There are tons of advantage of using a hiking or trekking poles for the person who walks regularly. If you walk few miles without any hiking poles or even without hiking stick, your knees will pained and you will not be able to walk more with comfort. Using poles will improve the balance and extra support and you will not feel any pain on your knees even after walking a long distance. So if you are a hiker and looking for the best hiking poles but don't know how to choose them then you are at the right place. We selected 5 top rated trekking poles and reviewed them in this article. We believe that this article will help you to choose the right hiking poles. Montem Ultra Strong Hiking Poles is a top-rated and high-quality poles. This pole has some outstanding features that indicate that this is a reliable and quality hiking pole. First of all, the weight of the this is light but these poles can take 350lbs of weight that is quite decent weight. The packability is an important thing and this trekking pole comes in three pieces so you can easily store. Aluminum used in this hiking pole is used in the airplane that made it sturdy. It has great locking mechanisms that will allow you to easily adjust the length. Also, the price of this hiking poles is not very much. 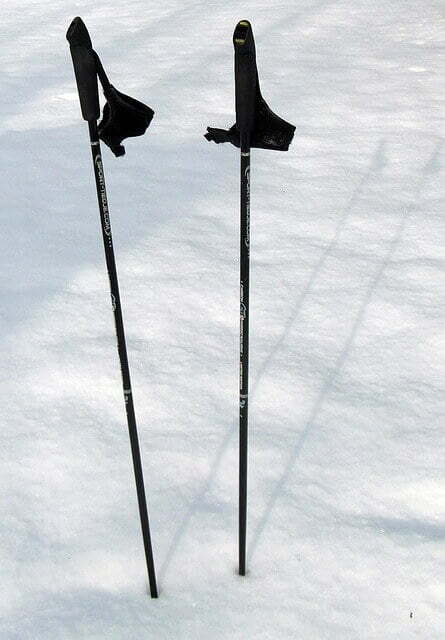 Black Diamond Trail Pro Shock poles are very light and high-quality trekking/ hiking poles. These poles are very versatile and designed for four seasons. The entire weight of the pole is low and the strength is well. It also has a dual flicklock pro pole locking system. You can easily adjust this as it has very good locking mechanisms. If you have a problem with your knee then this will also help you by absorbing shock. This hiking poles use Shock technology that provides shock absorption on four stage. It has comfortable non-slip foam grip. Alongside these features, Black Diamond Trail Pro Shock has low-profile trekking baskets. You can purchase this hiking pole without any hesitation and with full of confident. 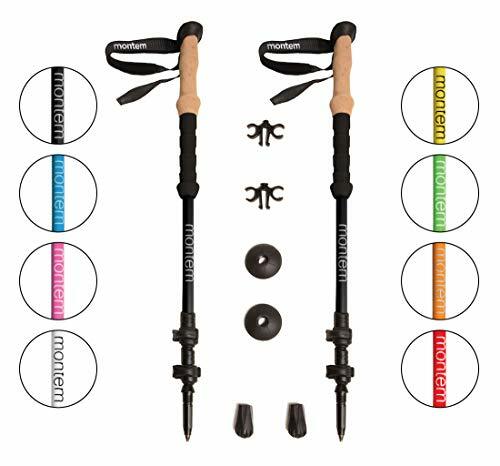 If you are looking for a great pair hiking poles that are very light, durable then you can go for the Montem Ultralight Carbon Fiber Hiking Poles without thinking twice. These poles are made of carbon fiber that made it very strong and extremely lightweight. These poles come in three-piece so you can easily carry it. As these poles are using hundred percent carbon fiber so it can entertain the strength even in high temperature. The nylon straps of these hiking poles ensure safety. You can easily adjust the length as these poles have adjustable bolts. Overall this hiking pole is an excellent choice. 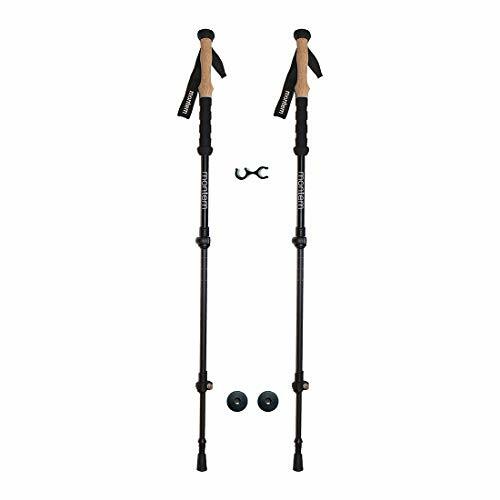 Black Diamond Trail Ergo Cork Trekking Poles are overall perfect trekking/ hiking poles. The shafts are built using aluminum that made it sturdy and long lasting. It also has 360 degrees padded strap. This hiking pole is really good and you can go for it. Cascade Mountain Tech Carbon Fiber Trekking Poles are very durable trekking/ hiking poles that come at an affordable price. The overall quality is very good and the duribility and design are also well. The locking system of these poles are fast and lever type. Poles are made of full carbon fiber. The total weight of these poles is very light. You will get rubber covers and hard carbide tips with these hiking poles. The twist lock feature of this hiking pole is very well, you can easily adjust the height without less effort. From our perspective, Cascade Mountain Tech Carbon Fiber is really a good quality and reliable hiking poles. If you want to get the best trekking poles then you have to consider few things. There are huge amounts of trekking poles available and choosing on from them is not so easy. We described the factor that you should consider to get the best one from thousands of hiking poles. The build material of the pole is an important thing. The duribility and stability of the pole depending on the material of the pole. The aluminum and carbon fibers are the two major material and most of the hiking poles are made by them. Both are good but the aluminum pole is less durable and cheaper, the carbon fiber made pole is light and much durable. When you are picking a hiking pole, make sure that the pole you are choosing is easily adjustable. You may need to reduce or shorten the pole when you are hiking on uphill. Also sometimes you have to make it taller when you are going downhill. The shock absorbing feature of the hiking pole is really necessary for people who have damaged or weak ankles, knees. So if you have a problem on your knee or hips then choose the one that is shocking absorbing. The locking mechanism is a crucial factor that you should consider when you are buying a hiking pole. You can use external lever lock to easily adjust the pole. The hiking poles must be comfortable as you have to use it a long time. For this reason, the grip of the hiking pole is a most considerable factor. There is few type of grip used in the hiking pole. Choose the grip according to your need as every type of grip has different facilities. As for instance, the foam grip absorbs moisture and they are comfortable. On the other side, the rubber grip keeps your hand from cold when you are using it during the winter season. damaged or weak ankles fit for hiking." Choosing the perfect poles for hiking is not an easy task as there are lots of hiking poles available on the market from the various manufacturer. But if you follow the buying guide of this article and do some research, you will be able to pick the right one. Lightness and duribility is a key factor of high-quality hiking poles. Also, think about the place where you will use to hike the poles. We recommend you to pick a product from the list that we have reviewed in this article if you don't want to spend time by doing research. You can buy hiking poles from the list without any doubt because all of them are great and has many features. So no more words! Best of luck for your next hiking trip with the newly purchased hiking poles.